Hair growth enhancing oil from Dabur consists of natural amla extract, also called “Indian gooseberry”. Amla – as a product for hair care and treatment for scalp – is known in India for ages and was described in Ayurveda (medicine and philosophy of the East) a long time ago. This is not the only ingredient, because beside it Dabur Amla Hair Oil consists of also canola oil and palm oil from African oil palm. Unfortunately, formula is not entirely natural, because there are a lot of fragrances and mineral oils, which are not suitable for all hair types. Amla extract makes hair become stronger and deeply nourished not only on the hair shaft, but also deep in the hair bulbs. Dabur Amla Hair Oil ensures hair with deep regeneration. Therefore, hair grow strong and healthy, stop falling out and delight with great condition from their roots. What is more, amla enhances hair growth through direct stimulation of follicles. Its effectiveness was confirmed. This is the reason why Amla Hair Oil is one of most often chosen oils for hair growth. Natural amla oil inhibits ageing processes of hair and deals with all scalp related diseases (e.g. dandruff or psoriasis). It ensures elasticity and healthy gloss. The secret to beautiful and long hair lies in hair growth enhancing oil from Dabur. Hair growth stimulating oil Dabur Amla Hair Oil has clear plastic bottle with a top. There is no applicator attached, and due to runny consistency its dosage on hair can cause difficulties. Application is in no way easier also because of its exceptionally unpleasant smell. Nonetheless, there can be people who do not mind this smell and can get pass this in their fight for beautiful hair. Unfortunately, it smells like a combination of herbs, anise and aroma of oils with chemical cleaning agents. When used frequently aroma penetrates hair and is hard to get rid of. 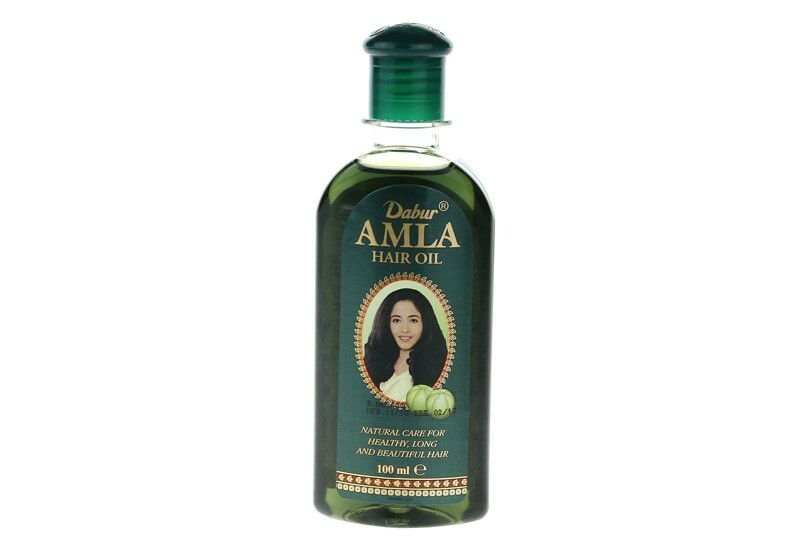 Dabur Amla is a hair oil, that absorbs really well, so there is no need to apply much of it for one use. You can not only use it for scalp massage, but also to rub in the entire hair length. This oil is suitable for hair oil treatment, despite having dark green colour.